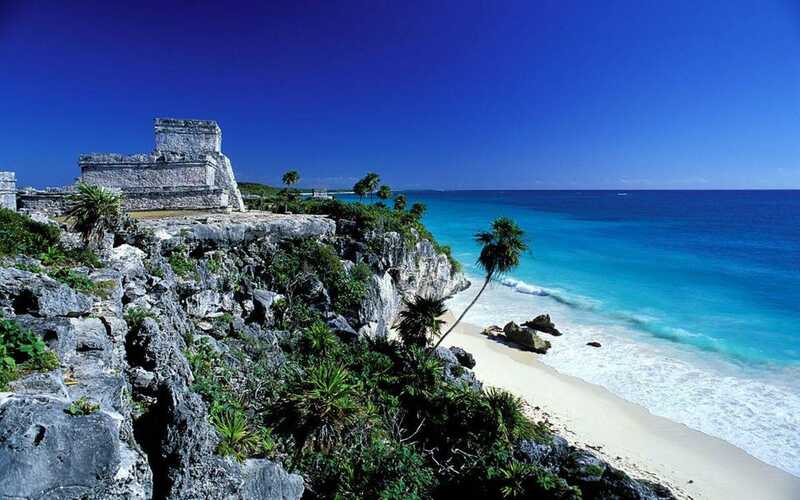 Most Millennials have heard of Tulum, the sizzling hot yoga town 90 minutes south of Cancun. And while its 1,000 year old ruins are worth a visit, it’s not the Mayan influence that inspired a recent 74% increase in tourism. Tulum’s New Age vibe, jungle-shrouded restaurants and white sand beaches have made it Mexico’s Yucatan Peninsula hottest spot. Beach Road North has better, although more crowded, beaches and is closer to the ruins, but its large resorts can feel a tad artificial. 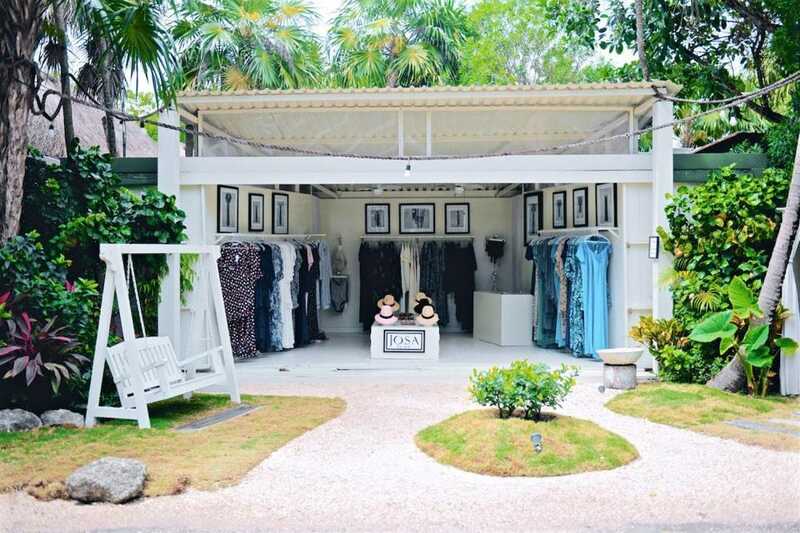 Beach Road South is the zen zone, with enough vegan restaurants, yoga studios and maxi dress-peddling stores to satisfy everyone’s inner hippie. Yoga at Sanara: The oceanfront yoga studio (shown above) at this eco-friendly resort is outlined with sliding glass doors that open to let the air caress your skin during practice. It’s not as mainstream as, say, Maya Tulum or Yoga Dicha, but the uncrowded classes are on par. Drop by at 8:30 AM, 10:15 AM or 5:00 PM. Tacos at La Eufemia: Didn’t splurge for a room on the beach? This low key, waterfront taco joint (shown below) lets you hang all day; simply order a drink every hour and avoid paying the lounge chair rental fees at nearby hotels. Don’t miss the fish tacos or fresh squeezed orange juice. Dinner at Mezzanine: When looking for a fancy night out, most people will point you to Hartwood, the ultra-stylish restaurant started by a Brooklyn couple many years ago. And while the food is good—order the woodfired ribs—the snobby staff detracts from the experience. Opt instead for the Thai-Mexican fusion at Mezzanine, where the pad thai and massaman curry rival the view of crashing waves. 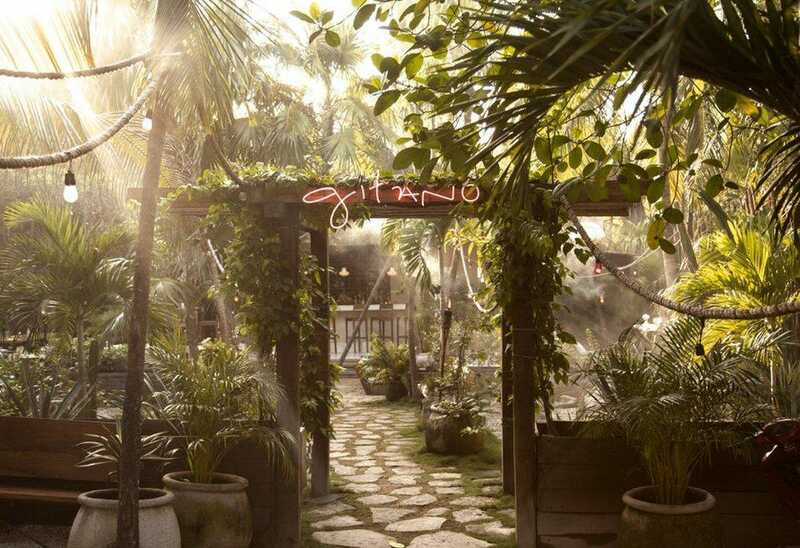 Drinks at Gitano: You can’t deny the New York-ification present in many Tulum venues. But if you’re up for trendy—and can stomach the $10 USD/drink price tag—then this jungle-enclosed cocktail bar (shown below) is worth a visit. Note that this is a mezcaleria, so, the liquor choice is somewhat limited. Pro tip: They keep much needed mosquito repellant at the hostess stand. Rumor has it Friday night sees Gitano turn into quite the party. 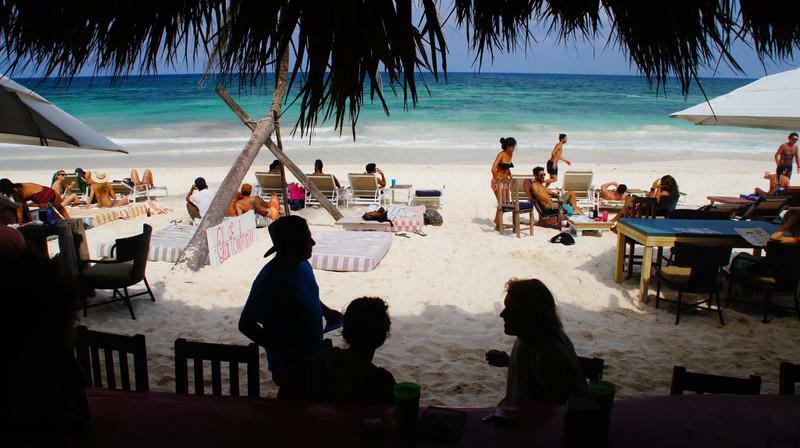 Mexican Breakfast at Zamas: Long considered the heart of Tulum’s beach road, many believe Zamas has slipped in recent years. And while it would be easy to overlook this oceanfront hotel at the start of the strip, the breakfast is worth a visit. Many rave about the huevos rancheros, but we stopped by during a chilaquiles special (fried tortilla strips smothered in salsa, cheese and fried eggs) that was worth ruining the benefits of that morning’s yoga class. Lunch and dinner are worth skipping. 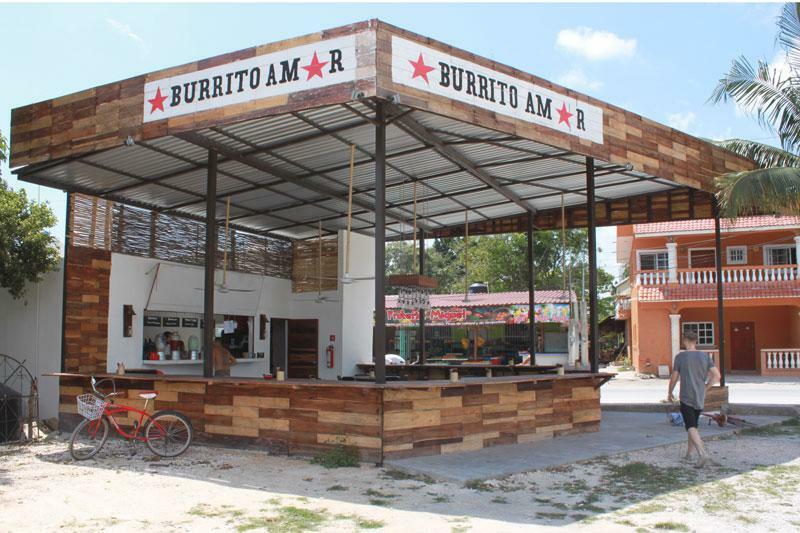 Burritos at Burrito Amor: People rave about the authentic Mexican feel (and the actual appearance of locals) at roadside spots like El Camello Jr and Antojitos La Chiapaneca. The food, however, is undeniably fine—although cheap enough that you almost don’t care. Opt instead for the newly-opened Burrito Amor (shown below), which, while touristy, was one of our standout meals for both breakfast and lunch.